The very Popular Android game BombSquad by Eric Froemling can now be downloaded and played on a PC with Windows or Mac OS. Unlike its name, BombSquad is not about defusing bombs it’s about throwing them at your opponents. 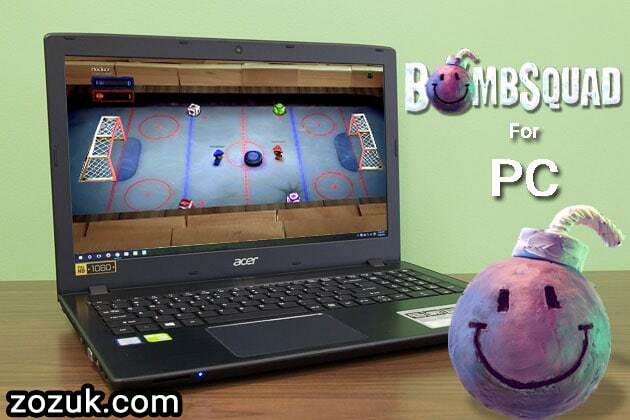 Throw bombs, kill opponents and win matches, BombSquad is all about fun. This 2D game gives a twist to the regular football and ice hockey matches by allowing bombs to be thrown at the opponents. Because of the amazing game art BombSquad as bagged many awards in the mobile and PC market. BombSquad on a Monitor with 12 controllers attached. With BombSquads increasing popularity on Android, many of its regular players started looking for alternate devices where this game can be enjoyed. Windows and Mac version of BombSquad provides a wider display area and easy to handle control keys. Not only that, you also get to connect to other online as well as offline players via BombSquad on a PC. Laptop Keyboard is not just the only mean to use as the controller. BombSquad game for Windows/Mac can be controlled using Remote Controller App from Play Store and App Store. 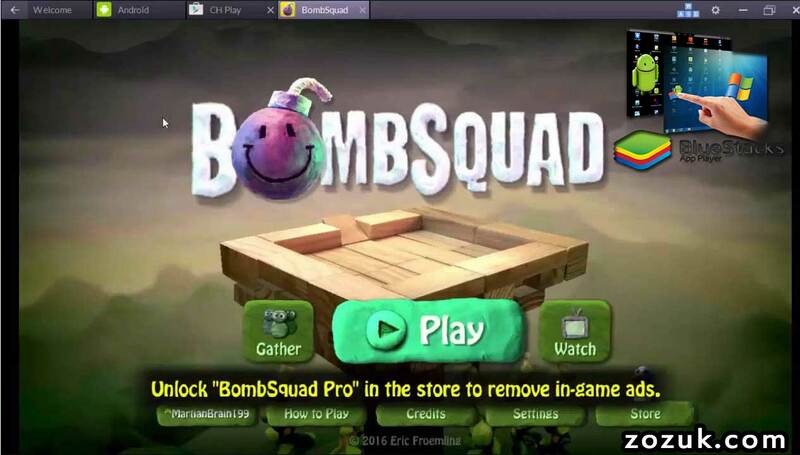 Check out how to play BombSquad in multiplayer mode and use Remote app for TV and PC. Here you can find a complete guide of how to play BombSquad on any Personal Computer. To begin with, you can either use the directly executable BombSquad APK file or emulate it on a PC with some software. A game like BombSquad does not require high-end PCs to run its .dll files. Before developing the game for Android, Eric Froemling created PC version of the game. He did so to test the functionality and gaming experience on a bigger screen where minute graphical bugs and errors can be detected and corrected. BombSquad for iOS is not available as of now but will be made available with the next major update. You can check out this post later for the download links of the iOS version. Meteor Shower Game mode on a laptop with 2 GB ram. BombSquad can be run on a Windows, Mac or Linux machine by directly downloading and installing the standalone executable file. This method does not involve the use of any third party software to emulate the game on a computer. So, without using any software like Bluestacks, you can download BombSquad and run it on a PC with Windows 10, 8, and 7. Any fully functional Computer with Operating System. Internet Connection to download EXE file of Bombsquad or Android Emulator along with BombSquad’s APK file. Head over to “Builds” directory once the page appears. Developer’s website with downloadable links to BombSquad that can be run on computers powered by Mac, Windows and Linux operating system. Unzip the file and double-click on the BombSquad .exe file. The .exe file has the icon of the game. You can directly download the BombSquad file from the link given below. Note: If the game does no run on the first attempt and throws some error message like “The program can’t start because Some .dll file is missing from your computer” then you have to install vc_redist.x86 application present in the same zip file. You can download the Microsoft Visual C++ 2015 Redistributable from here also to solve the missing file issue. Choose the x64 or x86 application based on your Operating System. 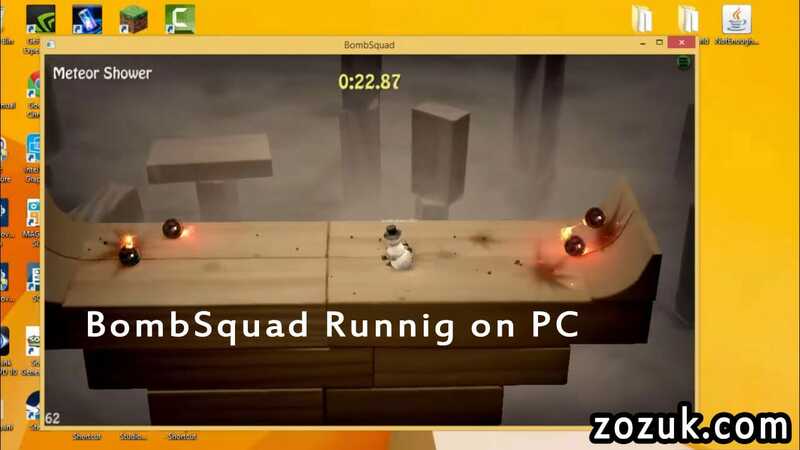 BombSquad for Windows, Mac and Linux comes pre-configured for keyboard based control layout. To move your avatar just press W, A, S, D keys for up, down, left and right. Make your avatar sprint by pressing and holding the respective keys as mentioned above. 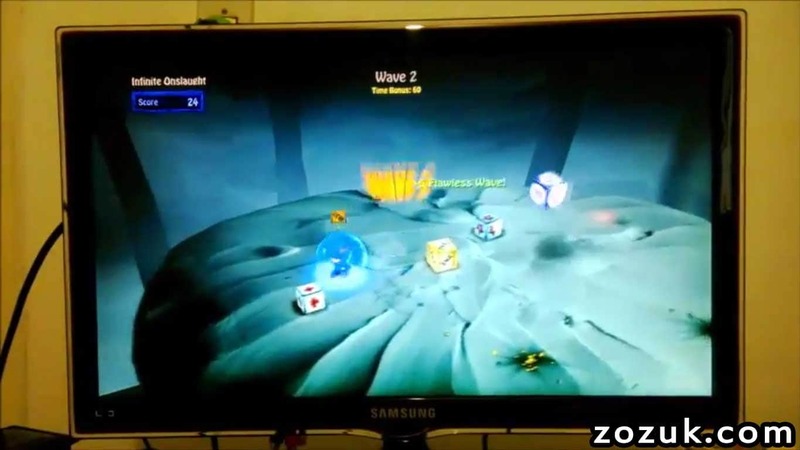 Gameplay of BombSquad on a Samsung monitor in full screen. To throw bombs, pick objects, punch and jump press L, I, J and K key respectively. Start the game and join a party by pressing J button on the keyboard. Once you get a hold on the keyboard, you will find that it’s easier to play this game on Desktop computers than on any smartphone. 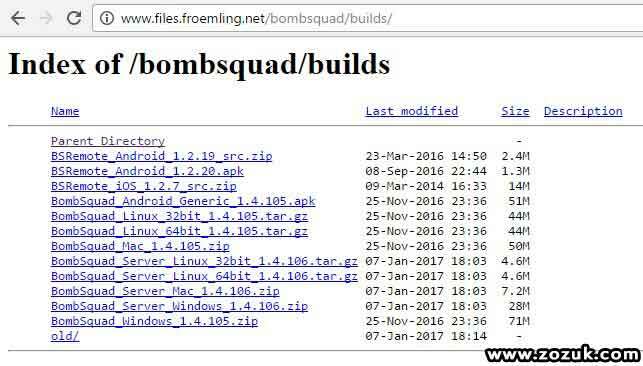 Index of BombSquad is the web page where Eric Froemling provided the download links for the PC version of the game. There are about 12 links on the Index page which include Android, Mac, Linux and its server, Windows and Windows server in their 32 and 64-bit versions. The page also includes details such as Last Modified Date, Size and Description of the various builds. Builds here refers to the underdevelopment models of the game that are used to test new features. The link to the Index page has been provided above under the procedure to download BombSquad. Cropped out image of the game in Blustacks with the mouse as the controller. An Android Emulator is a kind of virtual machine that lets Android applications being able to run on a device with a different Operating System. These Emulation applications provide the look and feel of an Android device on PC. This is done by effectively utilising the “Virtual OS” or “Hypervisor” feature that comes with most of the Operating systems. So we can also make use of an Android Emulator to run BombSquad on windows or mac PC. But a drawback of this method is that it requires extra space and RAM on the PC it is running. With an Android Emulator, you can run any Android application on a PC. The first job is to download any Android Emulator like Bluestacks or Andy. We recommend the use of Bluestacks as it has better resource management. Download Bluestacks by clicking the here. Once it’s downloaded, the Bluestacks installation guide will take you through the step-by-step installation procedure. Now you need to download BombSquad APK file. Here is a direct link to the file. Double click on the APK file to install and launch it. Alternatively, you can download it from Bluestacks itself. The next step is to open Bluestacks and move over to “Recent Played” column in “Android” tab. Place your Google Play ID on the screen to appear and give permissions to the BombSquad for PC APK file. That’s it! We successfully installed BombSquad on Windows computer. If you want to change the control settings like D-pad size and position, the panel is provided on the top right corner. You can follow the same procedure for installing the game on a Mac Computer. 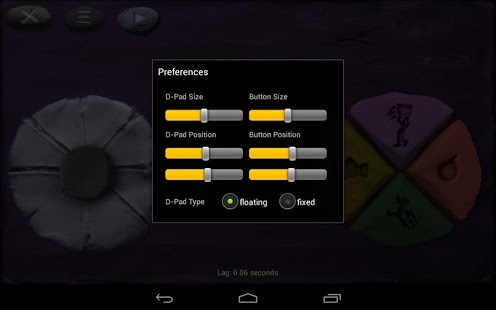 Setting D-Pad size and position in Bluestacks for Bombsquad game. Using any of the methods mentioned above you can also play the Mod version of BombSquad like the Pro Edition. The Pro Edition unlocks the different characters and maps of the game for as low as 2 dollars. The whole list of icons becomes free to access along with paid Maps. Tickets, the medium to play online BombSquad tournaments doubles every day as opposed to constant increment in non-pro Editions. The easiest way to install these hacks is to do it through Bluestacks and then install the Mods. You can also learn about modding the game on the official website as well. On MS Windows Operating Systems separate DLL files have to be installed in case you do not have the appropriate version of Visual Basics. Another famous game like BombSquad is Mini Militia which has many hacks and cheats. Different Mini Militia mod versions are available throughout the internet. Note: BombSquad is not available for Windows Phone. Any website claiming to have this game for Windows Phone is misleading you. Please do not download anything from such sites. Support: Downloading is not much of a big problem, but Installing BombSquad on PC can be tricky for some users. Therefore I suggest you go by the guide thoroughly and comment below to ask for any help regarding the installation on Mac and Windows Computers. bro how to fix error in bombsquad theirs so many errors men. Can I use controls such as the PS3 ones? Yes, you can. It becomes quite easy to control your character with those controllers. It has been mentioned in the post. Please check the section about troubleshooting. Did you try installing the vc_redist.x86 file in the same package? If that doesn’t work try contacting Eric, the developer of this game at http://www.froemling.com. He would definitely help you resolve it. Try running the game in compatibility mode. Install vc_redist.x86 application present in the same zip file. And my operating system is Windows 7. Do I need to download both zip files? No, you just need to install “Bombsquad_Windows” zip file. There is no need for installing server files. Follow the instructions given for troubleshooting the game. It works for almost everyone. thanks for this website I am making my mod pack…. THANKS! This game is great and makes lots of fun. 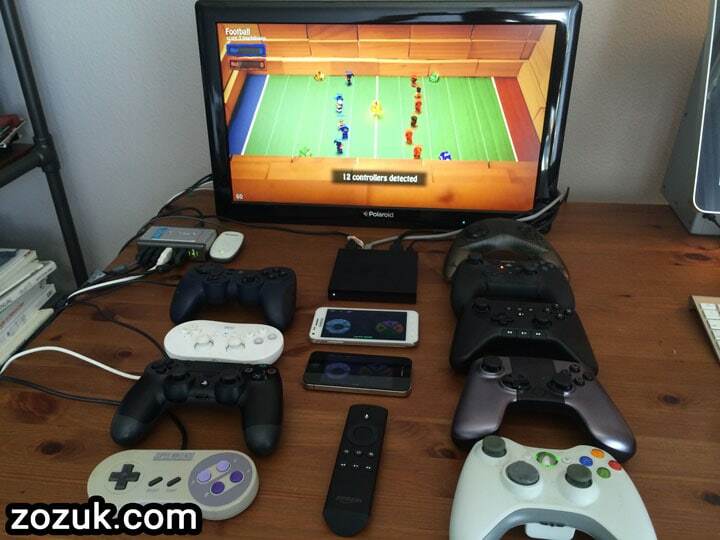 You can use your Ipad as an controller and play with your friends on a pc together. I just played it with my sister about 4 hours. I wish more extras and levels in the windows version. Thank you guys for making this great game available! We will update you once more stuff is added. Did you install vc_redist.exe file present in the zip file. Is there a ticket cheat then for pc? BombSquad pro version for PC is not available right now. We are working over the same and will release the dll files soon. Fatir, I want you to copy the error message and paste it here in the comment section so that I can help you with a solution.